The world’s leading luggage company has chosen Paris to install its first flagship store. 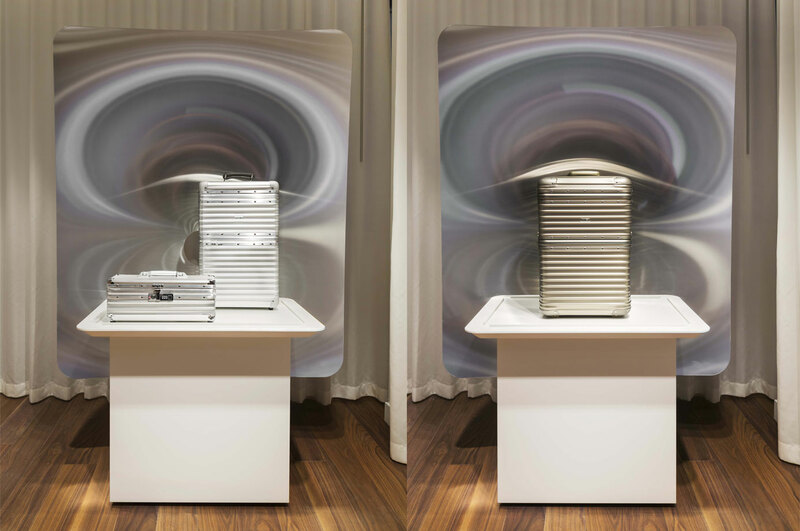 Installed opposite the Bristol on the elegant rue du Faubourg Saint Honoré, the five-floors, 600m2 shop focuses on the history of the German brand now in the hands of the LVMH group. Entrusted to the Swiss designers of the Atelier Oï, this XL space showcases the rimowa suitcase’s iconic grooved aluminum. A screening room is devoted to the film of the Junkers F13 project by Rimowa, while the walls are decorated with the images from the first ages of the civil aviation as well as historical photos of the fuselage in Duralumin of the Junkers F13 of which Rimowa designed a replica. A cultural atmosphere that does not forget to be a place for selling! The store features the entire range of top-of-the-range luggage from the German malletier. 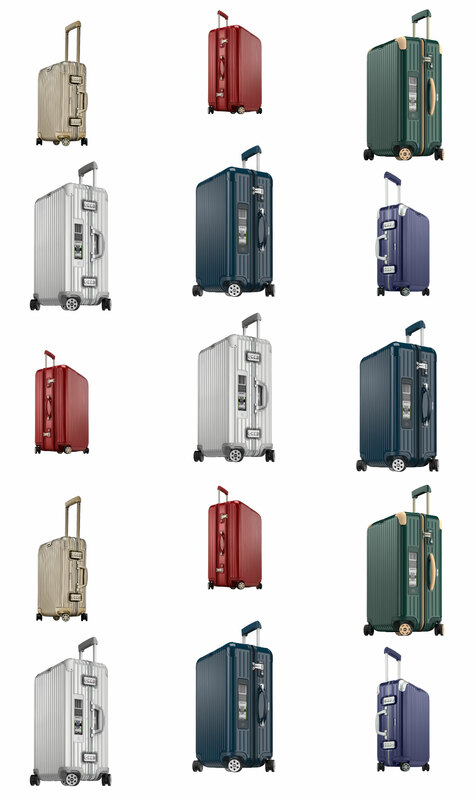 They include the Rimowa Topas collection and its latest Topas Titanium and Topas Stealth models in black anodised aluminum, the Rimowa Salsa collection, the lightest ones, the Rimowa Limbo collection, leather accessories that complement the main ranges and even the Rimowa Gourmet collection which can store bottles of wine and champagne or cigar humidifier. Finally, the Rimowa Electronic Tag. This unprecedented service, launched in 2016, is the first system in the world to check-in a remote luggage via Lufthansa and Eva Air via a smartphone. With it, no more waiting time at the check-in counter! A highly desirable luxury.